An opportunity to attain more awareness and control over your inner world through the practice of Pranayama. Long ago, people discovered that we are subject to the wanderings and rapid turnings of thoughts and feelings that we don’t seem to be in control of. In searching for methods to calm the mind, the breath was discovered. Over time, they elaborated that discovery into the practices called pranayama which is an integral step in the eight-limbed path of yoga. This 2 hour workshop will help you bring refinement, clarity and deeper understanding of these practices. You will initially learn appropriate restorative poses to prepare the mind and body for an effective pranayama practice. You will then be introduced to Ujjayi, Kumbhaka and Viloma pranayamas. Having such an informed and mindful practice can take you deeper and lead you to a more rewarding practice with the confidence to grow to higher levels. 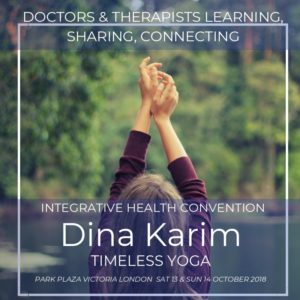 You will learn how to practice these poses and pranayama with utmost precision and clarity, and take a way a safe and effective pranayama practice – alongside a clear understanding of why it should be an essential and regular part of your practice. Suitable for those who are established in their posture practice. Not suitable for beginners. Yoga workshops at: Triyoga Chelsea, 372 Kings Road, Chelsea, London SW3 5UZ. Tel: 020 7483 3344 for booking queries. If booking for more than one person, please do so by calling 020 7483 3344. Do not book via website or the second person will not appear on the roster.